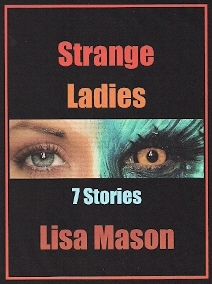 As I mulled over my published short fiction, I found seven wildly different stories with one thing in common—wildly diverse heroines totally unlike me. I’m the girl next door. I have no idea where these Strange Ladies came from. In The Oniomancer (Asimov’s Science Fiction Magazine), a Chinese-American punk bicycle messenger finds an artifact on the street. In Guardian (Asimov’s Science Fiction Magazine), an African-American gallerist resorts to voodoo to confront a criminal. In Felicitas (Desire Burn: Women Writing from the Dark Side of Passion [Carroll and Graf]), a Mexican immigrant faces life as a cat shapeshifter. In Stripper (Unique Magazine), an exotic dancer battles the Mob. In Triad (Universe 2 [Bantam]), Dana Anad lives half the time as a woman, half as a man, and falls in love with a very strange lady. In Destination (Magazine of Fantasy and Science Fiction), a driver takes three strangers from a ride board on a cross-country trip as the radio reports that a serial killer is on the loose. In Transformation and the Postmodern Identity Crisis (Fantastic Alice [Ace]), Alice considers life after Wonderland.